Adidas picked the perfect weekend to showcase their latest range of boots on the biggest stage – at the Champions League Final in Berlin. The Ace15 and X15 could be two of the most controversial boot releases in recent times, not because of what they bring to the market but because of what they replaced. 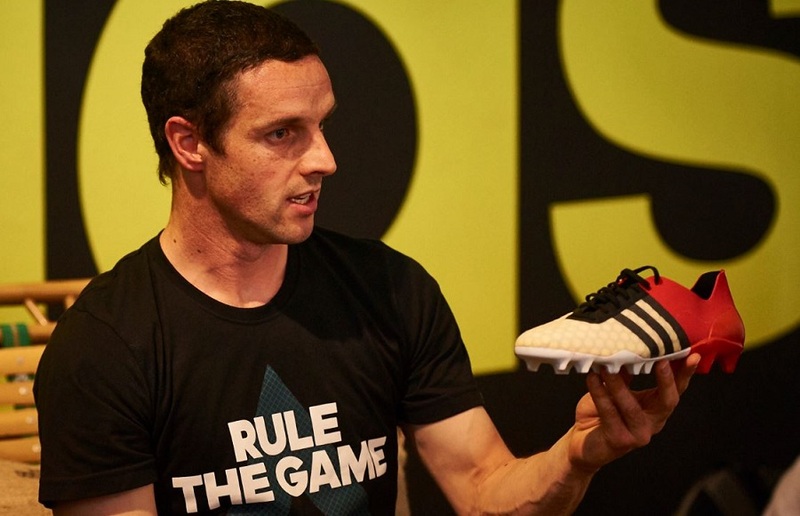 To date, it has proven a rocky sell as the three stripe tries to reeducate players and convince them as to why the newest silos are set to revolutionize the game. We traveled to Berlin (with adidas) last Thursday in order to hear the back story from the boot design teams, meet some of he athletes that will be wearing them, be part of a Champions League viewing party, and to check out “The Base”. What a weekend it was! A lot happened and we spoke with plenty of cool people – here are 10 Key Things We Learned from the trip. #1 – The Reason Adidas Made So Many Crazy Changes. Who could have envisioned Adidas disbanding their entire line-up of boots (minus the Gloro) for a new set of silos? The retirement of the Predator F50, 11Pro and Nitrocharge has sent shock-waves right through the market and everyone wants to know, why would adidas make such radical changes? The answer, as we found out, is an important one. From the very beginning, adidas knew that the game was changing and they made the landmark decision to be a part of that change. That was the ambition and it is something they put extreme thought into. Through conversation with physios, managers and players at the elite level they discovered that the game was evolving and they needed to adapt. They still felt that certain aspects of the four silos (Predator, F50, Nitrocharge and 11Pro) were relevant but they wanted to take the key attributes of performance to the next level. With that, two player visions were in mind; X (ultimate agility) and Ace (playmaker). These new boots represent revolution and everyone involved in the project (from designers to PR folk) are super excited to show players what they have in store and how they are ready to shake the everyday norm in favor of something that takes performance in a completely new direction. #2 – Adidas Has A New Boot Naming Convention. In the past, we have referred to boots simply as “top level” and “mid tier”, sometimes Nike has thrown “Elite” out there. But now adidas has come up with a new “official” naming convention that will distinguish each boot in a silo. Here is the key take, using the Ace15 as the example. This naming convention is set to run through all models and will evolve with each range. So, for example, the next Ace released will be labelled the Ace16.1. Personally, I like having this one set in stone going forward – it makes things a lot clearer and removes any complication. #3 – I Wear The Same Size Boot As Messi. That is right – we officially had it confirmed that Lionel Messi wears a size 8.5UK or a 9US boot. Not only that, but adidas has also finally convinced Messi to wear a synthetic version of the Messi15 boot rather than his standard leather version. If you are familiar with his boots, you will be well aware that every time an F50 boot was released, Messi would hold the synthetic pair aloft but end up wearing leather. So, I made sure to get confirmation on this one and adidas stated the man himself loves the new messiTOUCH upper material – probably because he played a role in its creation and inclusion. #4 – Zidane Is Still, And Will Always Be, Predator. When I asked Zidane what his reaction was to the retirement of the Predator, he was adamant it was still his boot of choice. In saying that, he stated that he loves the design of the new boots. In his words, society is changing and young players have a new opportunity to evolve with a faster paced game. The fact that adidas is mindful of that is special and something he embraces. He is also glad for his sons outside of the revolutionary performance, as they get to choose colorful boots! He mentioned that his sons (he has 4) prefer the Chaos, or the Adidas X15. Enzo and Luka took part in an adidas demo alongside Zinedine later in the evening, with one wearing the Ace and the other wearing the X. #4 – The First Ever, Fully Tested, AG/FG Boot. The decision to create an AG/FG boot took serious consideration and research. Adidas looked at trends and given so many players play on AG pitches (especially in the US), they wanted to create a boot that was universal. It was a case of assuming players were playing on AG pitches and creating them to suit an FG surface being a bonus. So, they worked on creating a boot that was AG ready. Testing with equal time across both surfaces allowed adidas to come up with the right balance and composition ensuring it is safe for use and also fully functional. #5 – Ace15 and X15 Prototypes. Prototypes are a lot of fun to check out. They introduce you to a whole new side of the boot that you wouldn’t otherwise see, where the range has come from and what the designers were trying to create through different steps. We got to check out four different versions of both the Ace and X, with a detailed description of what each version was about. There were also pairs of blackout boots that were actually used by pro players through the testing phase. A joke ensued about how the blackout (sharpie) was actually coming off the boot (seen second from left to right above), to which an Adidas designer commented that they needed to create a better blackout technique or product. Immediately, I seen light-bulbs go off over his head. Should have kept that comment to myself I guess! #6 – Optimal Control From Upper Through Soleplate. 360 control through the outsole was a key focus in the creation of the boots. Adidas was really trying to change the game with the introduction of an entirely new way for players to control the ball, to get on it and get that perfect clean touch out from under their feet. Thus the inclusion of more traction through the front and midfoot of the soleplate – all those little nubs and angled blades so actually serve a valid purpose! Adidas also worked to shed weight in the outsole to improve agility, creating a positive impact through high speed movements. #8 – Ace 2.0 and X 2.0 Are Ready! The 2016 line-up is already set, with only a month of “special” testing left before the design is fully confirmed. July is the month. Talking with one of the lead designers, I asked him if it was complicated creating boots before receiving feedback on the current range. His answer was simple – yes it is difficult to get feedback, but it is a fun and energizing challenge to stay focused on being one step ahead and produce something even more special. Just to note, the above image is an X15 prototype and not a future boot release! If you are in Berlin, look up this place and bring some boots along. 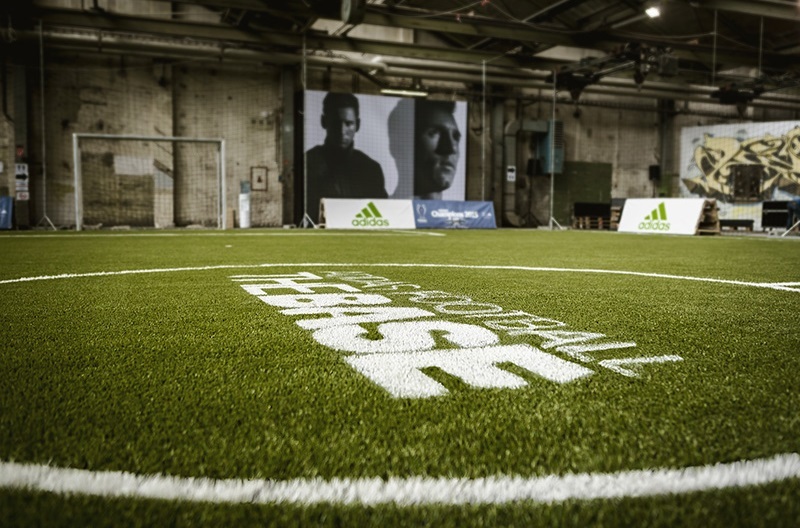 THE BASE BERLIN is a semi-permanent footballing location and will become a focal point of grassroots football for the world’s leading football brand. 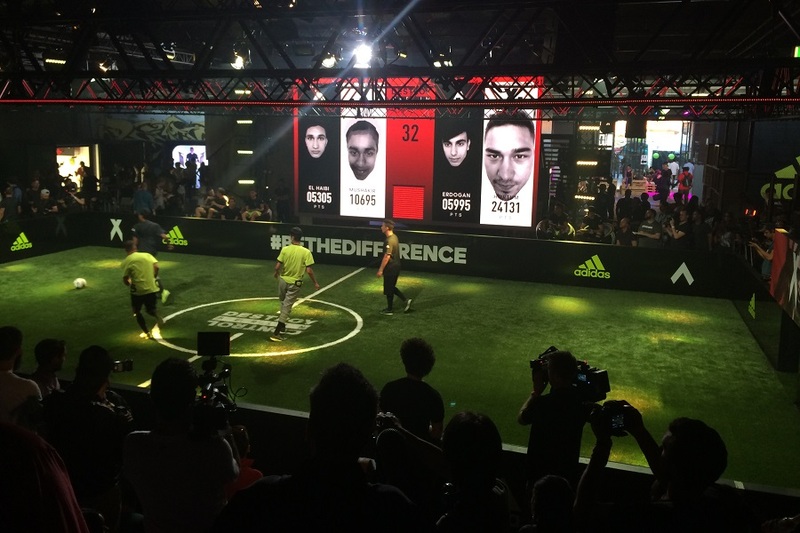 As well as a main 5-a-side arena, THE BASE features a variety of unique features made to match the way the game is played today. Selected features include 2-a-side pitches, a trick shot studio, alley pitch, boot room, a warm up area and a dedicated skills area, making this the most exciting venue for football’s next generation to come and hone their skills. As well as world class facilities, THE BASE contains hangout zones for the kids of Berlin to relax in-between matches. In one of the world’s coolest cities, THE BASE is set to become the next must-visit spot for the kids of Berlin. Additionally, adidas will utilize the venue as an “open source” location for youngsters to get involved in projects such as the testing and development of unreleased product. I’m not entirely sure what those surprises will be, but I have a pretty good idea. Expect some limited edition releases over the coming months that will incorporate new elements to the market we haven’t seen before. By retiring an entire range of boots, adidas has left the door wide open to fresh new ideas and design concepts. People don’t like change, and I can understand the frustration some players feel at not having a particular boot available anymore – that is especially true with the Predator. But lets be honest for a second; the last few renditions of that boot, in particular, have been pretty boring and they haven’t exactly been embraced by the market. If you ask players which Predator version they miss most, you will receive responses that cover older models and not those of recent times. What does that tell you? It is the right time for players to move on and embrace the change, even if the initial visual designs don’t suit your taste. Remember, there is more to come! If you guys have any thoughts or questions about the boots or the actual event, hit up the comments. We have pairs of all three boots on the way for testing and review (to see how they perform over time). If you want a pair of any, find them right now at soccer.com. From the pictures I saw of Messi's cleats from the Champion's League Final, it doesn't look like he was wearing the 'Messi tech' upper. Looked more smooth like he had a leather version. It was definitely the messiTOUCH upper. The material is very supple and stretches like a leather, so it would look more smooth on foot. If it was leather it would need stitching and it would never be as smooth as the pictures show. Leather always has that rough grain on top, which is pretty visible. Also, leather needs stitching or else it will stretch too much. Unless of course you have an 11pro construction. To me, it looks like the dimple effect on the synthetic was simply removed. That's pretty much it – still synthetic, but with no dimples. If I had to guess why, it would be that maybe the 'dimple' effect doesn't work well with the custom lasting/heat moulding/stretching which Messi gets for his football boots from adidas and also the Barcelona kit manager, so it's a 'pure' version of the same material. I want a pair of those peach orange X boots. Will they be available? Any more pics of them,? They were a prototype, so not sold. They actually stated that this version didn't make the grade as they were deemed "too vibrant" by some pro players who wore them! Zidane in anything other than Predator boots would just be wrong! 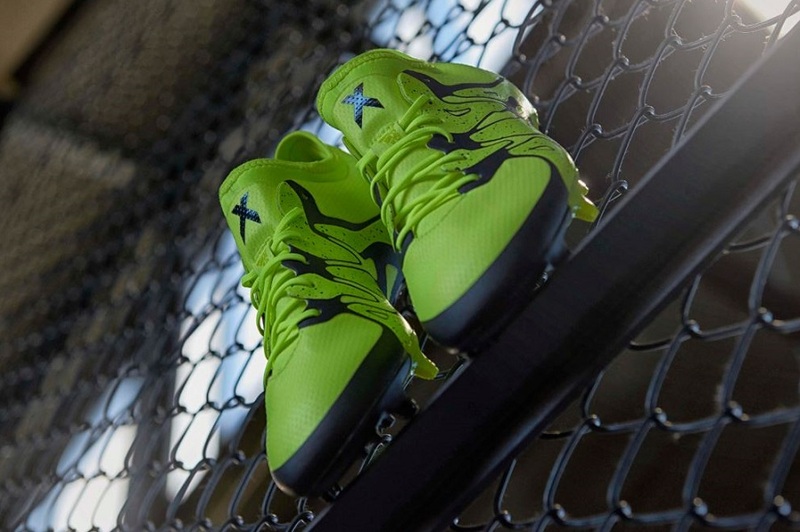 For the indoor versions of the Ace and X, are they the 15.1 versions or 15.2s? I have seen sites advertise each and at this point, I am not sure what product I am getting. Did you have the chance to checkout the indoor versions of each on the boost soleplate? If so, thoughts? I received a pair of he Ace 15.1 Boost while I was there (these ones https://instagram.com/p/3jNOoxTVUC/) They are nice to wear, but the actual design of the upper is very different to the real thing. Love everything boost has to offer though. I don't quite understand the "A joke ensued about how the blackout (sharpie) was actually coming off the boot (seen second from left to right above), to which an Adidas designer commented that they needed to create a better blackout technique or product. Immediately, I seen light-bulbs go off over his head." part. Could you explain further? Better technique? Product? What's the meaning of that? Normally when Pro Players get boots they are pure blackouts. The boots shown in the picture were sharpied for whatever reason and it started to come off. I think the point is, they shouldn't sharpie in the future because it might reveal the design, even though it's not a normal process. I used to do product testing for adidas when living in Germany and the boots were always black, not sharpied. Nice work. I don’t think I’ll ever get over the predator range, but I sort of get it now. There is some thinking behind the madness. I’m interested to see where adidas take things next! Can you just go the base in Berlin and play on the pitches? Love the boot naming section, hope they stick with this and let fans become familiar with a set system.